Anne Orth of St. Cloud MN. 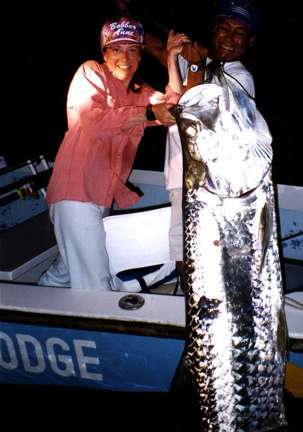 while fishing at Rio Colorado Lodge with Dan Gapen, manufacturer of many great fishing lures, boated this giant tarpon.